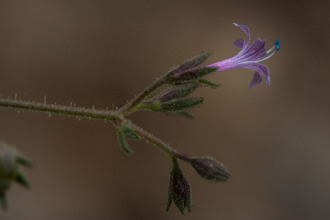 Prickly Phlox or Linanthus californicus is a tap-rooted, widely-branched shrub with wooly long, soft, matted hairs that are densely lined with clusters or bundles of prickly needle-like alternate leaves (it is a Phlox). Native to California, this perennial is woody (one of the benefits of being a perennial is that you live more than a year and can invest energy into creating a more durable structure). You can believe the common name description (Prickly) of this plant! 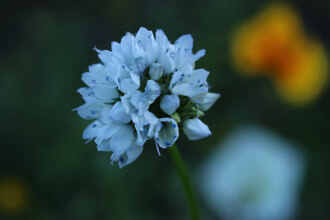 The showy flowers are clustered on the outer edges of the plant, and range in color from pink to lavender to white. Flowers are open during the day and twist closed at the end of the day. 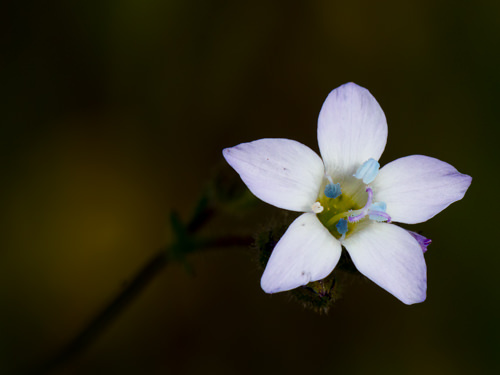 The flower has five petals, white center, a narrow throat with some yellow stamens often visible. This is one of the flowers that does not project its reproductive organs up into the air. Pollinators have to crawl inside the narrow tube. Prickly Phlox can have dozens of the one inch round flowers in bloom from March to June. The bright pink patches of flowers will catch your eye and if you are not careful the leaves will remind you not to touch this plant. 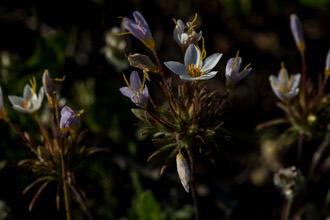 This plant can found in a variety of places: scrub, forest, coastal strand. This plants normal range is below 1500 meters in mountains along the coast from San Luis Obispo to Camp Pendleton and other mountain ranges in South Western California. I have seen this plant in several places: Sandstone Peak, Saddle Peak and Boney Ridge. 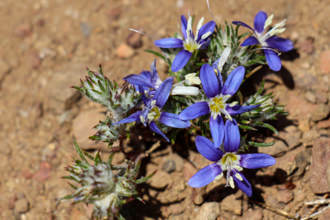 For any Botanists reading this, the scientifc name was changed in recent years from TJM1 Leptodactylon californicum changed to TJM2 name Linanthus californicus. 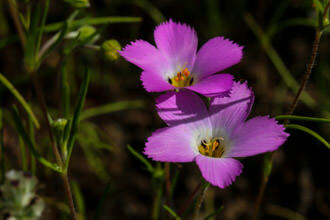 Name Origin: from the Greek, linon, flax and anthos, flower. californicus, references our lovely state. Last modified: March 31 2017 21:25:10.